This post was originally written by Ms Briony Marks, a teacher in our Preparatory School, on her teaching blog that you can read here. I liked the post so much, and her natural integration of technology into a Year 6 Maths lesson, that I gained permission to reblog it here – enjoy. 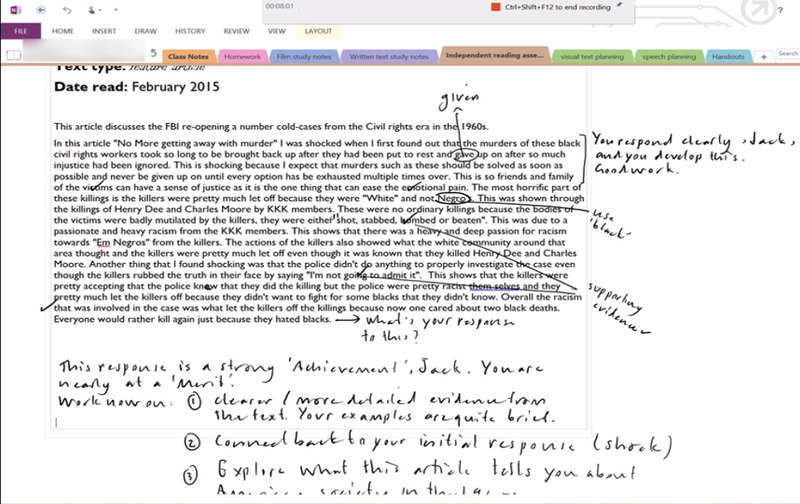 The setup of the class OneNote & the W.A.L.T. for the lesson. Now that the school year is well and truly underway a few of my summer pipeline plans are taking form inside my classroom which is exciting, and it feels like a long wait is over! 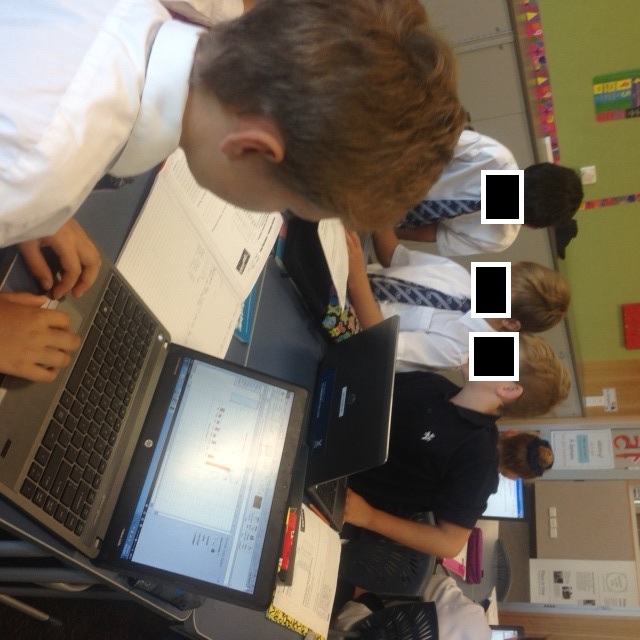 As a member of the eLearning professional learning group in the Preparatory School I have been trying to integrate the useful and purposeful use of computers and the Internet into my lessons and I am endeavouring to document my reflections as I go along to feed back to the rest of the group. Last week I set up a class OneNote to use with my Year 6 and Year 7 Maths groups using the Class NoteBook Creator App (I think I’ll do a blog on this once they are underway and being used in the longer term – I’ll share how I’m using it and how effective it is in a class without their own devices). We finally got started using it in our maths lessons this week and I was really pleasantly surprised with the results. With my Year 6 class we were undertaking the age-old Smartie statistical investigation. I decided, like many teachers, to use this opportunity to introduce the class to Microsoft Excel. My aims were to show students how to use AutoSum; to see if they could understand the benefit of this function and the advantage over using a calculator and to make simple graphs. Next week we will be adding the results of other groups to take a Mean and use a comparative graph feature to support our analysis of the results. There were plenty of resources on the Internet (TES.co.uk had a plethora! ); wonderfully detailed PowerPoints or Word documents with screen shots and arrows showing the students a step by step method. I chose my favourites and adapted them slightly (one needed modernising to the Excel 2013 we run on our school netbooks and other details such as where to save and open the Spreadsheet were made more suitable for the school systems). What I chose to do next was not particularly intentional but it worked fantastically. I copied the Powerpoint into our Content Library on our class OneNote. Once those students who were savvy were online they took themselves through what was essentially a step by step tutorial, with minimal assistance, and self-taught how to use Excel. 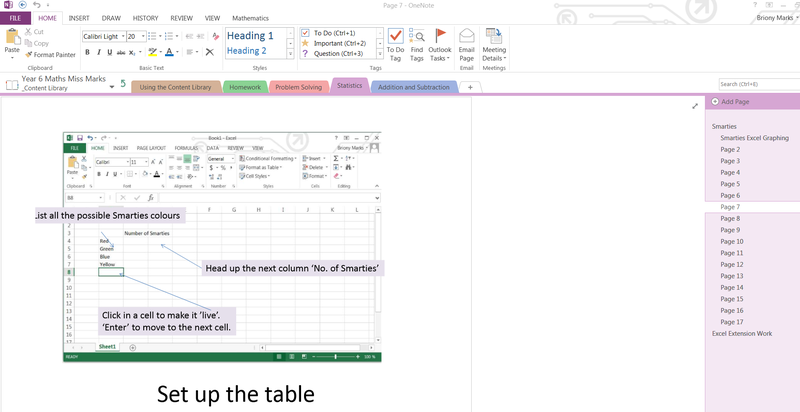 This allowed me the opportunity to work with a smaller group of students who were not so familiar with OneNote or Excel. Children assist each other before I can get a look in! The children were able to help each other and often a question was asked and before I could get to the child to assist, another member of the class had jumped up to show them where to find the answers on OneNote or how to do it. I can’t wait for the next lesson and to see how they deal with the next set of skills.